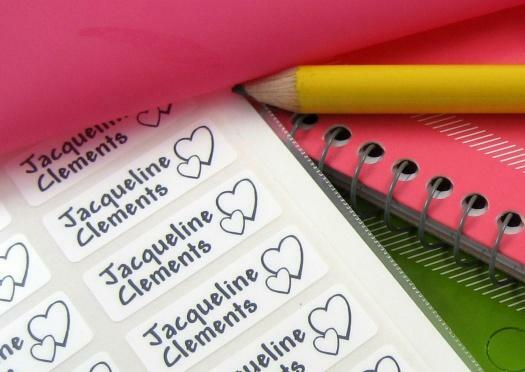 BabyTapes are unprinted, dishwasher-safe color-code tapes available in 16 colors. Wrap them around your bottle for a sharp look and to really make your bottle stand out to reduce mix-ups. Baby Dates are mini, removable, residue-free, single-use date labels ideal for daily bottle dating. 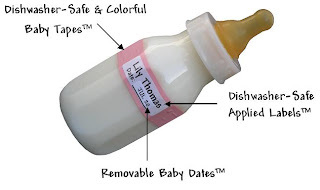 Content Labels are pre-printed Formula or Breast Milk labels, which are the most popular that are offered. These labels are the best that I've tried. They really are waterproof, and don't fade. I have added a label to so many items: my iPod, Netbook, digital camera, eco friendly waterbottle, shopping cart, toothbrush, and much more!